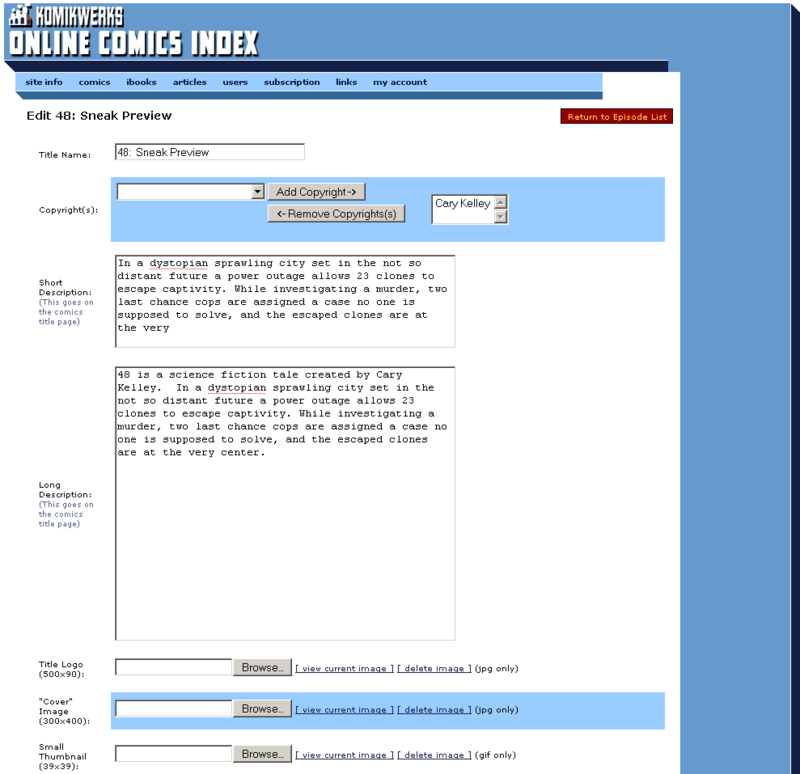 Goal: To convert a completely static site into a scalable website for online comics and to provide a content management system to easily to maintain their inventory of comic titles and episodes. 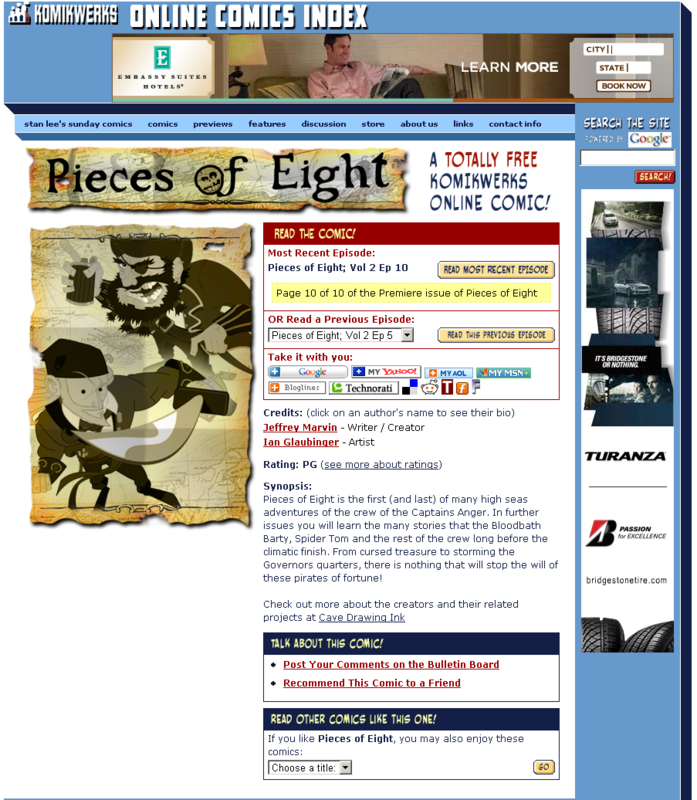 Komikwerks hired Palace-Designs to rebuild their entirely static site of hundreds of pages into a dynamic, easy to update site. As part of this, both a custom front-end and back-end content management system were created to easily maintain content. 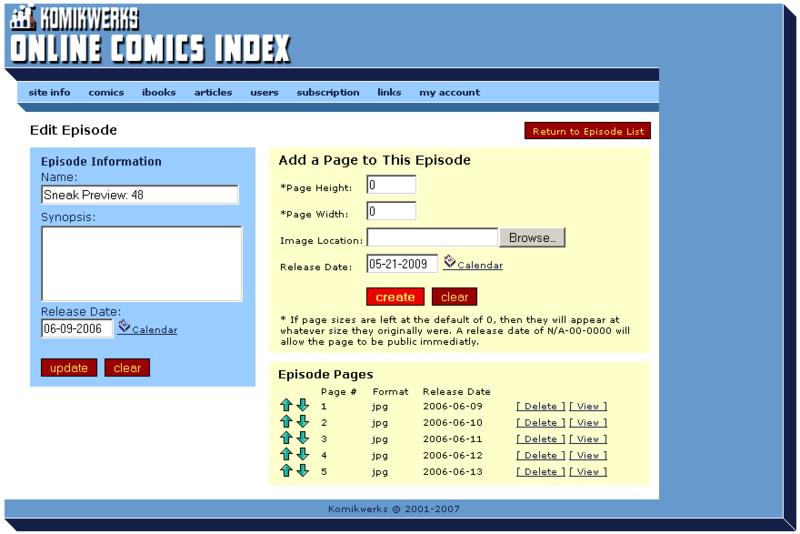 The system also included the ability to have time-released content as well as content specific to certain users (AOL users for example). 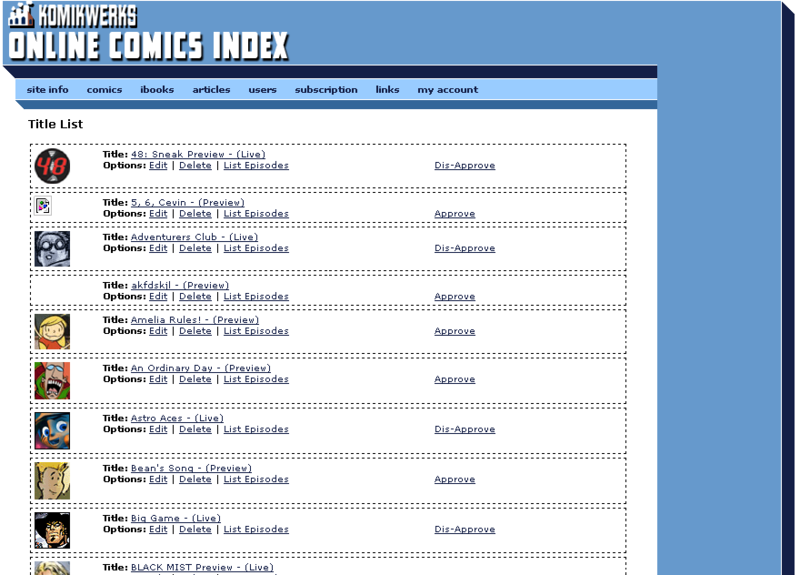 The system developed runs entirely on templates, which allows for Komikwerks to easily change out designs or enhance the designs of both the front and back-end without worrying about the underlying coding changes. 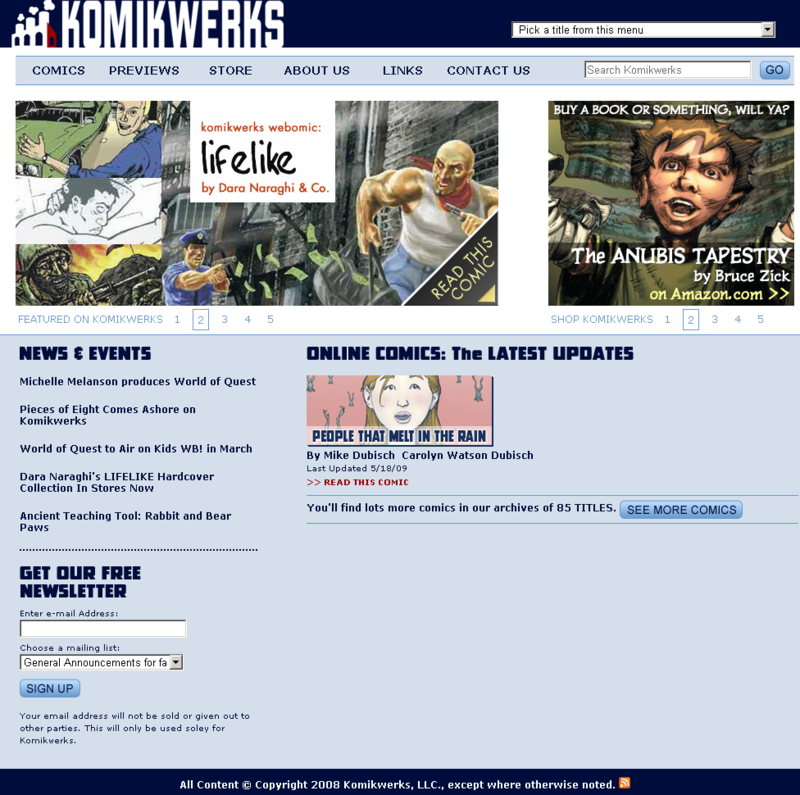 The above screenshots show examples of the Komikwerks front and back-ends.